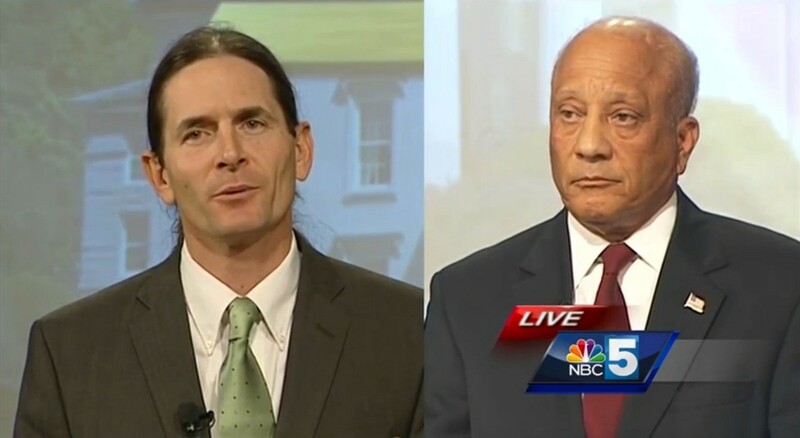 Republican lieutenant governor candidate Randy Brock launched a new television ad Tuesday smacking Progressive/Democratic rival David Zuckerman over a comment Zuckerman made regarding the Vermont National Guard. This marks the second time during the campaign that Brock has aired negative ads about Zuckerman, who held a strong lead in two recent polls as the two compete for the open lieutenant governor’s seat. “Vermont needs a lieutenant governor who respects our National Guard,” the ad’s narrator says. Last week, Zuckerman apologized for the 2013 comment after F-35 supporter Nicole Citro posted a video of the rally online. Brock’s new ad is part of $10,000 in television time Brock bought on October 25, campaign spokesman Dustin Degree said. In the last week, Zuckerman has spent $8,500 on television ads, which have sounded a positive message about the candidate without naming his opponent.